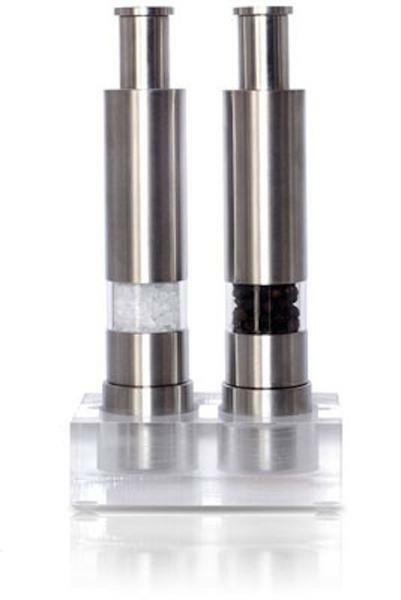 This is my favorite salt & pepper grinder set. It’s made by grind-gourmet.com. It looks cool on the table, works awesome and produces a nice consistent grind. I used it every day. For two years. It didn’t rust, the barrel didn’t craze or get cloudy, it didn’t start to work “funny”. Every day it looked as new as the day I opened the box. It just kept grinding salt and pepper with no complaint. What I got instead was an apology and a replacement, with absolutely no problems, no arguing and no run-around.